THE PULSE: Carlson Rezidor Hotel Group announces first three members of new luxury brand Quorvus Collection in London, Edinburgh and Kuwait. Carlson Rezidor Hotel Group, one of the largest and most dynamic hotel groups worldwide, announces the first member hotels of Quorvus Collection: The May Fair Hotel London, the G&V Royal Mile Hotel Edinburgh, and the Symphony Style Hotel Kuwait. The Quorvus Collection name originates from the Southern sky Corvus constellation featuring the five brightest stars. It is a new generation of expertly curated luxury hotels inspired by the lifestyle and sensibilities of the contemporary global traveler. Member hotels are historic landmarks, contemporary residences, classic boutiques and urban retreats – all different in scale, architecture, ambiance and design, yet committed to the same, unparalleled service philosophy. Quorvus Collection has a luxury lifestyle value proposition based on a signature suite of hallmark services. The holistic “Q24” concept targets both body and mind, and focuses on six core elements: wellness, replenishment, style, inspiration, entertainment, and connectivity. The May Fair Hotel London, owned and operated by Edwardian Group London, is an icon of expressive contemporary design and brings together boutique attention to detail with grand hotel service. The spirit of surrounding Mayfair is captured beautifully, for example in the May Fair Bar which has played host to some of London’s most extravagant society events and serves over 40 decadent cocktails including the signature Mayfair Mojito. A legendary hotel with a glamorous past, The May Fair Hotel was first opened by King George V in 1927, and offers 404 spacious bedrooms including twelve of the most memorable prestigious suites in the capital. Home to fashion and film, The May Fair Theatre is the epitome of luxury with a 201 seated private screening room, whilst the May Fair spa is an urban retreat utterly discreet and wonderfully indulgent. Iype Abraham, Commercial Development Director of Edwardian Group, said: “As a luxury lifestyle hotel in the heart of London, The May Fair is a historic building with a modern design. We are delighted to be a member of the Quorvus Collection and look forward to further enhancing our guest experience”. The G&V Royal Mile Hotel Edinburgh, a reminder of George & Victoria, gives a proud nod to the area’s Royal heritage and enjoys an enviable location in the heart of Edinburgh at the corner of George IV Bridge, Victoria Street and The Royal Mile. Each of the 136 rooms and suites show designer Rosita Missoni’s aesthetic look and dynamic use of colors and patterns; combined with latest technology and free high speed internet access. The award-winning restaurant “Cucina” is the hotel’s pulsing heart and serves dishes inspired by classic Italian cooking. The “Fashionista Bar G&V” is the place in town to watch and be watch. The G&V Royal Mile Hotel also features three modern event spaces, a breakout area, and a wonderful city spa. The Symphony Style Hotel Kuwait is part of the Symphony complex in Salmiya, the main shopping and entertainment district of Kuwait City. 18 floors high, the hotel with 169 rooms and suites offers breathtaking views on the Arabian Gulf. The bold, beautiful interior designed by Rosita Missoni echoes the colors of desert and sea: gold, sand and turquoise. All rooms have state-of-the art technology including free high speed internet access. The Symphony Style Hotel Kuwait features three outstanding restaurants: “Cucina” serving authentic Italian cuisine, “Luna” offering Arabic food with a Mediterranean twist, and “Choco Café” celebrating a true coffee culture. Six superbly equipped event spaces ranging from exclusive board rooms to an elegant ballroom, an outdoor pool, and the sensational Six Senses Spa complement the hotel’s leading services. “These three unique hotels lay a strong foundation for the further development of Quorvus Collection. Together with Carlson, we aim to grow a global portfolio of 20 hotels in operation and under development by 2020 through conversions and newly build urban hotels and resorts”, added Neumann. 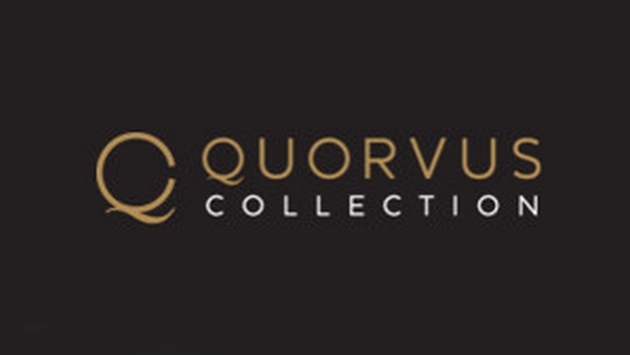 Quorvus Collection is the latest brand created by the Carlson Rezidor Hotel Group to cover the luxury hotel segment. 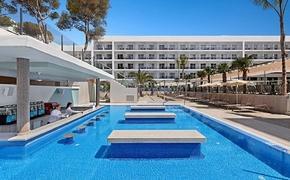 The group develops and operates the brands Radisson Blu (upper upscale), Radisson (upscale), Radisson Red (lifestyle select), Park Plaza (upscale), Park Inn by Radisson (midscale) and Country Inns & Suites (midscale) across 80+ markets in the world.